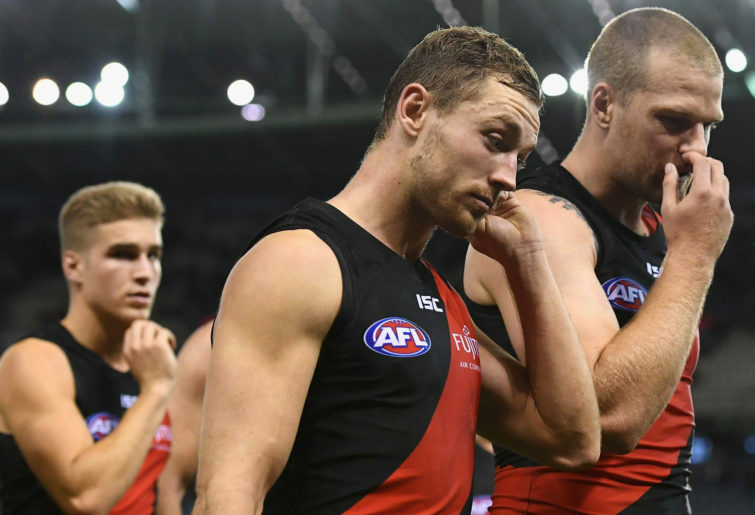 When folk say Essendon will do well, it sticks in the craw of some fans of other teams. Here’s one. This guy William Cornwill is going it alone. He basically reckons we will crash and burn in 2019. Come at him ! The comments section reveals this idiot for what he is- a farkwit. Wasn’t this the same bloke who was praising Essendon? Easy draw LOL. Port: touted as a finals team, North, spent half the year in the 8, West Coast, eventual premiers. Slaughtered Sydney, Within 1 kick of Hawthorn, within 2 kicks of Richmond. How does Jake Stringer at 192cm make a small forward? He takes a tall forward and belts him over the head until he becomes shorter? Got no idea who he is and sure as hell won’t read his article. I don’t need someone to tell me to be a pessimist, im perfectly capable of doing it myself. And it’s from the Fuckinng roar FFS. Tbell might not be amongst the very best all round ruckmen in the league but he’s pretty clearly one of the better tap ruckmen. In 2017 his tap to advantage rate was the best in the league. It’s easy to write off a midfield if you just ignore the 3 all Australians in it. Saad and McKenna were rarely if ever caught last year and both showed excellent defensive ability and positioning for the most part. The big scores we conceded were all in the first half of the year. We had the most efficient forward line be in the comp in 2017. We were in a position to beat Hawthorn and Collingwood but fluffed our lines. We improved our performance against Richmond by around 12 goals over the course of the year running them to couple of kicks late in the season. Menzel is 191 and is considered a small forward who doesn’t chase and tackle, apparently. Lol sounds like someone who has not watched us play, or taken any time to even review our team recently. About as knowledgeable as your average nuffie supporter about out team and completely biased & un-objective in the negative. While I don’t buy into the top 4 hype, to not even talk positively of our finals chances says it all. Lol “Shiel is just not that good” ■■■■■■■ lol. Ignore. I’ll be over in the Lid off 2019 thread until at least mid season. But you’ll find plenty of posts around here as well where they think he is. However - it does also work in reverse, with our supporters thinking other teams are crap - when they know little about them. And success in this game is all comparative. Does this make Michael Hurley the best small defender in the AFL? I might be pessimistic but I wouldn’t call us crap like this bloke is getting at. That would be because you are a pessimist, whereas he is an idiot.